My Dad is 83. A Dane from Northern Jutland. Bicycles were a part of his life from the word go. Here he is in Copenhagen earlier this year. 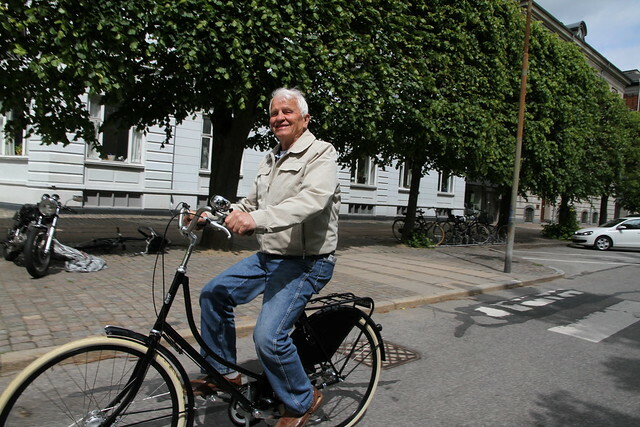 He was a bike messenger during the Second World War in Copenhagen. Fifteen years old, delivering fruits and veg around the city. Read more about the original bike messengers in Copenhagen over at Copenhagenize.com. I love this post! 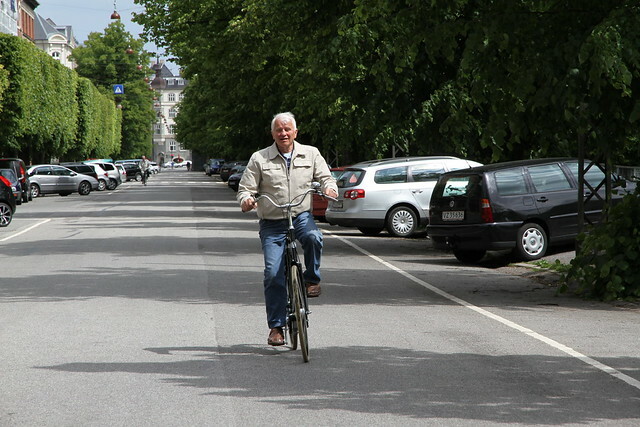 Thanks so much for posting it, and further reinforcing the love of bicycles keeps us young! love this. I was just at a town mtg about transportation alternatives and someone pooh pooh'd the talk of bicycles saying that our town's elderly could not bike. I wish I had a picture of your dad then. Perhaps our town's currently elderly might find getting on a bike difficult after a lifetime of driving. but if we makes changes the next generation of elderly will look like your dad. And that would rock. A handsome modern-day messenger. So happy to see people of that age (and mine) doing and enjoying energetic activities. Kudos for your Dad. I have neighbors that age (even a 82 yr old brother-in-law) who ride racing bikes for fun.